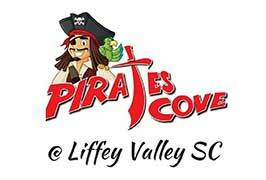 Pirates Cove in Liffey Valley, Indoor Adventure Playgrounds for Kids Parties. 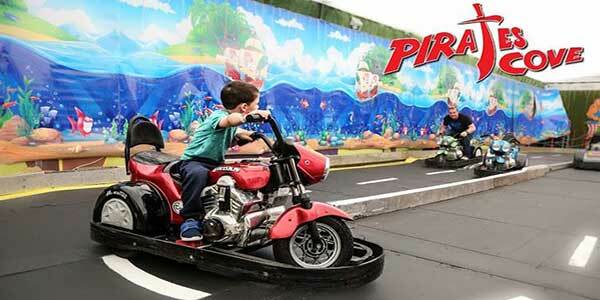 Pirates Cove at Liffey Valley SC is one of Dublin’s top indoor adventure playgrounds and is the venue to go with the family for some swashbuckling family fun! 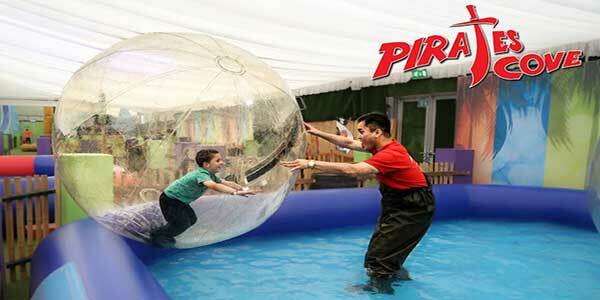 Suitably located just minutes from the m50 (exit 7) in Liffey Valley Shopping Centre, Pirates Cove boasts an array of activities suitable for those aged between 1 – 10 yrs old! 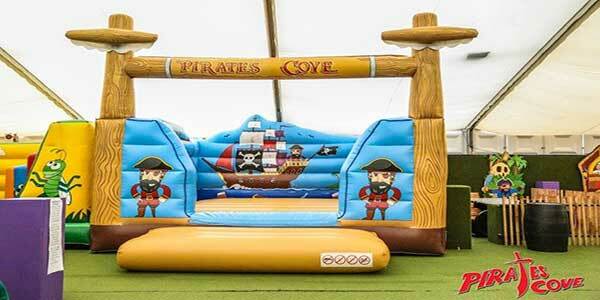 Pirates Cove has a great variety of fun activities to keep your wee lads and lassies both entertained and physically active for hour long sessions, right throughout the year! Featuring a giant drop slide, palm island bounce zone and an exclusively animated toddler zone. Whilst the children are playing, parents can enjoy a freshly brewed tea / coffee and a delicious sweet treat, available from the Treasure Chest Shop located inside the venue! Pirates Cove, also host birthday parties and offer great birthday party options! 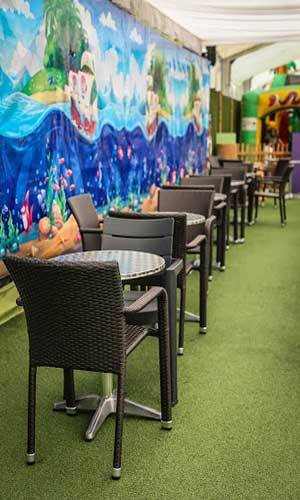 Give your little one a truly unforgettable experience by hosting their party at Pirates Cove, Liffey Valley! DIY Silver Package €99 – Includes 2 hrs in Pirates Cove for up to 20 kids, a pirate costume for the birthday boy / girl & a party zone! DIY Golden Package €99 – Includes 2 hrs in Pirates Cove for up to 10 kids, a pirate costume for the birthday boy / girl & a party zone, 15mins access to the iZone for all the boys & girls in attendance. A ride on Danny the Dinosaur for the birthday boy / girl. Available Mon – Fri only. A complimentary return pass for all the boys/girls. Family Fun Tips – Pirates Cove also supply all parties with unlimited juice / water, plates and cutlery, all you have to bring along is the cake! Booking:– To book please call 086 2735131 or email [email protected] to enquire! Pirates Cove, Liffey Valley in Dublin, also have great value packages available for youth club, school and crèche group outings! 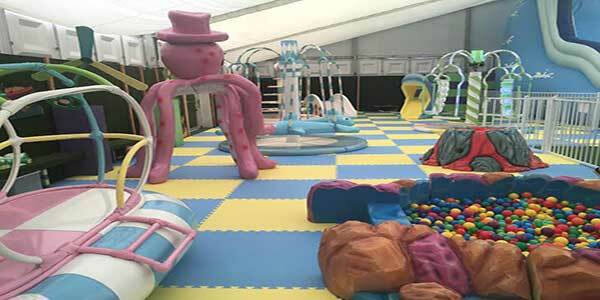 And a uniquely animated toddler zone featuring a carousel swings, Wilma the whale slide, a ball pit and much more! Newly installed IZone is a must experience for children of all ages and abilities! Consisting of 6 games in total, iZone engages computer and reaction skills alongside physical movement. Pirates Cove, Liffey Valley have recently started a closed session for children with special needs every Sunday morning from 10am – 11am for full details, please call us on 086 273 5131. At Pirates Cove they also host Toddler Mornings daily Monday to Friday from 10 am – 2 pm! Parents and toddlers can come along, relax, unwind, and enjoy some fun and adventure in a comfortable play environment. Entrances cost only €7 per family* and covers up to 4 hrs play! *Fair usage applies, maximum of 3 children per ticket, children must be siblings.